Sometimes huge issues just slide along under the radar until, all of a sudden, they blow up. The shock can come from a brown envelope slid under a door, a “scoop” in the media, or an opposition politician discovering a serious failure in government. I’m waiting for an explosion to occur at the Canada Pension Plan Investment Board. This organization has assets of $287-billion and provides pensions for the 19-million Canadians who pay into it. The Investment Board is dangerously gambling and putting our future in danger by investing billions-of-dollars in risky fossil fuel companies. Moreover, the Board is knee deep in unethical investments in the coal industry. 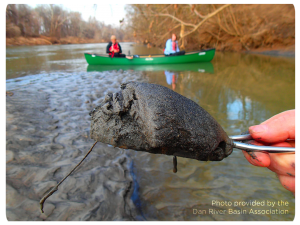 Coal sludge from a North Carolina site mined by Duke Energy. The collapse of a huge cooling pond dam at a coal mine in North Carolina during Hurricane Matthew last month didn’t cause a stir in Canada, but it should have. The facility in question is owned by Duke Energy – perhaps the most vilified energy company in the United States – and the Pension Fund Investment Board is heavily invested in Duke. Earlier, a Duke pond leaked dirty effluent into a North Carolina river. The company paid a $102-million fine continues to face numerous law suits while it is involved in a $3-billion clean-up. The loss had an impact on the Canadian investments. “You should also know CCPIB has large investments in more than 30 polluting coal companies,” says Friends of the Earth Canada (FOE Canada). FOE Canada commissioned staff of the magazine Corporate Knights, which calls itself the magazine of clean capitalism, to investigate Pension Plan investments. There’s more. In October the Investment Board bought 95 per cent of a company that acquired EnCana’s fracking operation in Colorado for US$900-million. Since then it has bought an oil company in Saskatchewan for $975-million, and a pipeline in Alberta for $1.4-billion. At a time when pension investment boards and other investors in other countries are abandoning dirty fossil fuels, why is the Canadian Pension Board stuck somewhere in the past? The Investment Board says that companies involved in the fossil fuel sector yield good returns. In addition, Michel Leduc, Head of Public Affairs and Communications, says the Board can accomplish more as an “engaged investor,” working with companies. The Investment Board’s fossil fuel holdings are massive. Late in 2015, fossil fuel producers or pipeline companies made up about 22 per cent of the CPP’s Canadian investments and about six per cent of its foreign investments, says a research paper written by the Canadian Centre for Policy Alternatives. The Investment Board keeps information about its’ carbon-producing holdings as secret as possible. Of the 120 global investors representing $10 trillion in assets who have committed to publicly disclose their portfolio carbon footprint via the Montreal Carbon Pledge , the Investment Board and nine other top Canadian pension funds are not listed. Meanwhile, analysts say energy stocks are doomed. With the lower price of fossil fuels and investors moving into renewable sources of energy, many fossil fuel companies are losing their value while others are going out of business. People fear that the Board could lose big if this trend continues and it does not sell some of its holdings. In fact, Corporate Knights says the Investment Board likely missed out on profits of $US6.5-billion by sticking with climate polluting industries instead of switching to other, safer investments. The estimate is based on research Corporate Knights carried out for an Irish group. It is no surprise the Investment Board takes a pro-fossil fuel, non-divestment position. Seven of the 12 members of the Board have had, or continue to have, deep personal financial ties and/or business connections to both or either of the fossil fuel and energy industries. The seven are: Kathleen Taylor of Toronto, Heather Munroe-Blum of Montreal, Ian A. Bourne of Calgary, Robert L. Brooks of Toronto, Pierre Choquette of Vancouver, D. Murray Wallace of London, Ontario, and Jo Mark Zurel of St. John’s. The Investment Board’s description of its relationships are misleading. It claims that “CPP Fund assets belong to the 19 million contributors and beneficiaries who participate in the CPP” but, in fact, beneficiaries are powerless when it comes to having any say in the operation of the Fund. The Board also rather arrogantly claims that “management reports to an independent, professional board of directors, not to government”, and that “we were created to operate at arm's length from governments and to make independent investment decisions.” However, it is ultimately responsible to the Finance Department. The government needs to investigate why the Investment Board and its highly paid staff managed a profit of only 3.4 per cent in its most recent year. 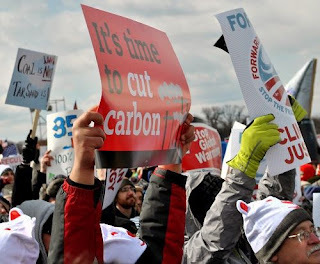 In addition, environmental organizations should scream blue murder over the fact that an institution so central to the welfare of the people of this country is deeply involved so heavily in the coal and non-renewable energy sector. It is inexcusable that these extremely dangerous and unethical activities have gone on for so long right under the federal government’s nose. An unexpected and rapid decrease in the returns on fossil fuel holdings could put the pensions for thousands of Canadians in grave danger. CLICK HERE, to subscribe to my blog. Just guessing, but it looks to me as if the Board is furthering the neoliberal agenda by ensuring CPP fails. "See," they'll say, "Harper told you so." Hello am Nathan Davidson a businessman who was able to revive his dying business through the help of a Godsent lender known as Jason Raymond the CEO of FUNDING CIRCLE INC. Am resident at 1542 Main St, Buffalo, NY.. Well are you trying to start a business, settle your debt, expand your existing one, need money to purchase supplies. Have you been having problem trying to secure a Good Credit Facility, I want you to know that FUNDING CIRCLE INC. is the right place for you to resolve all your financial problem because am a living testimony and i can't just keep this to myself when others are looking for a way to be financially lifted.. I want you all to contact this Godsent lender using the details as stated in other to be a partaker of this great opportunity Email: Fundingcircleplc@yahoo.com OR Call/Text +14067326622..
An award-winning investigative reporter and a founder of the Canadian Association of Journalists (CAJ), Nick was a news editor and producer with the Canadian Broadcasting Corporation for more than 20 years. Comments welcome: fillmore0274@rogers.com More about Nick. Nick Fillmore. Simple theme. Powered by Blogger.